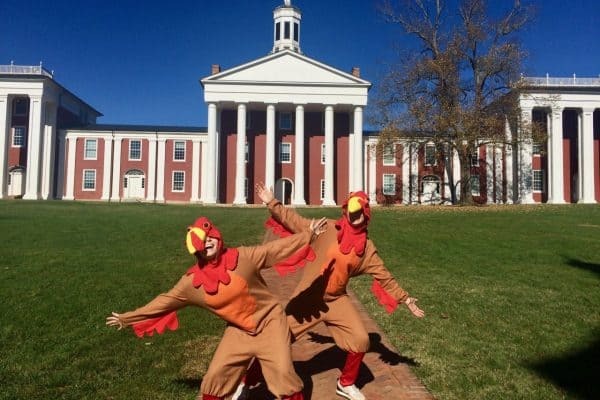 The Campus Kitchen at W&L Presents Annual “Turkeypalooza” The Campus Kitchen Leadership Team at Washington and Lee University presents its annual “Turkeypalooza” from Nov. 9-16. The Campus Kitchen Leadership Team (CKLT) runs a variety of holiday-themed events during the month of Nov. The annual “Bring Your Turkey to Work Day” and the University Store’s food drive provide CKLT with enough food to deliver Thanksgiving meals across the county. Nov 9 | Food Drive at Kroger | 3-7 p.m.
Nov 10 | Bring Your Turkey to Work Day | 7:45-9:15 a.m.
Nov 12 | Cooking Shift | 3-5 p.m.
Nov 12 | Delivery Shift | 5-6 p.m.
Nov 14 | Turkey Delivery | 3:30-5 p.m.
Nov 14 | Cooking Shift | 5-7 pm and 7-9 p.m.
Nov 15 | LCOOY Delivery | 4-5 p.m.
Nov 16 | Magnolia Delivery | 11:30-1:30 p.m.
Nov 16 | Manor Delivery | 4:30-6:30 p.m. The mission of The Campus Kitchens Project is to use service as a way to strengthen bodies, empower minds and build communities. 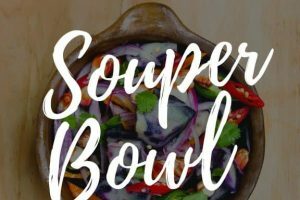 The Campus Kitchen at Washington and Lee combats hunger and promotes nutrition by recovering and reusing food that would otherwise go to waste into balanced meals for low-income members of the community in Rockbridge County. Volunteers also develop valuable relationships with clients. For more information, visit the Campus Kitchen website.